Commercial dishwashers to meet every need: from glass washers to rack conveyor dishwashers. Food preparation and processing equipment. The best quality essentials for optimal food preservation and sous-vide cooking. Complete supply of equipment for snack-bars and pizzerias. 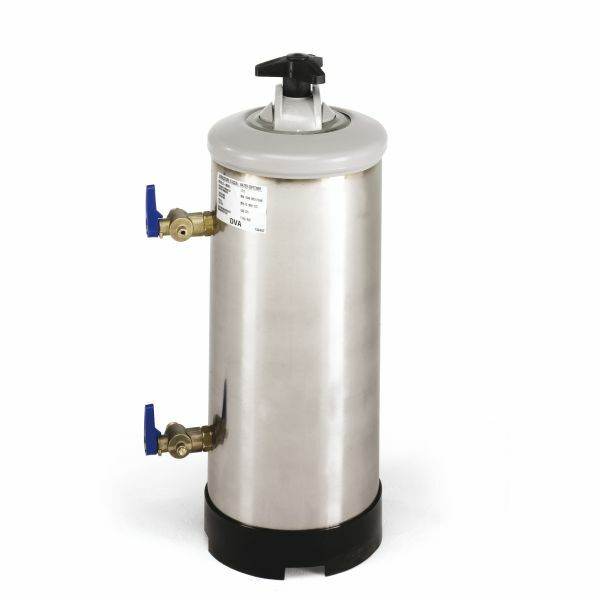 Sammic water softeners are planned right down to the finest detail to be safe and easy to use. Manufactured in 18/8 stainless steel. Sammic manual water softeners are used for softening the water used to supply espresso coffee machines, dishwashers and small boilers, etc. to prevent scale formation caused by hard water. Maximum flow rate: 1,000 l/h. Feed water min/max temperature: 4ºC-25ºC. First of all, we will be at Food&Hotel Vietnam fair and, on 27th April, Enrique Fleischmann will teach two masterclass in Saigon. The design of the XM-12 makes it possible to make creams and sauces with the perfect texture for spreading. XM-12 is ideal for achieving the most subtle, delicate and airy blending and smooth purées. This model opts for the cold pressing system, a gentle, low-speed process that constantly presses the ingredients, without cutting them. Subscribe to receive Sammic news and updates.